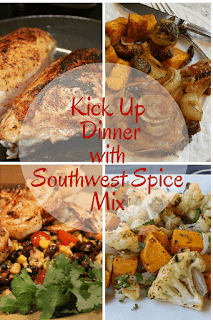 My love for this Southwest Seasoning Mix began long ago with a recipe that paired a roasted chicken that was rubbed with the seasoning mix and chipotle barbecue sauce. I couldn't get enough of that yummy combination. I made up a huge batch of the Southwest Seasoning Mix and a vat of the chipotle barbecue sauce and soon we were eating one or the other, or both several times a month. That happens frequently around here. I get on a kick and my family comes along for the ride. 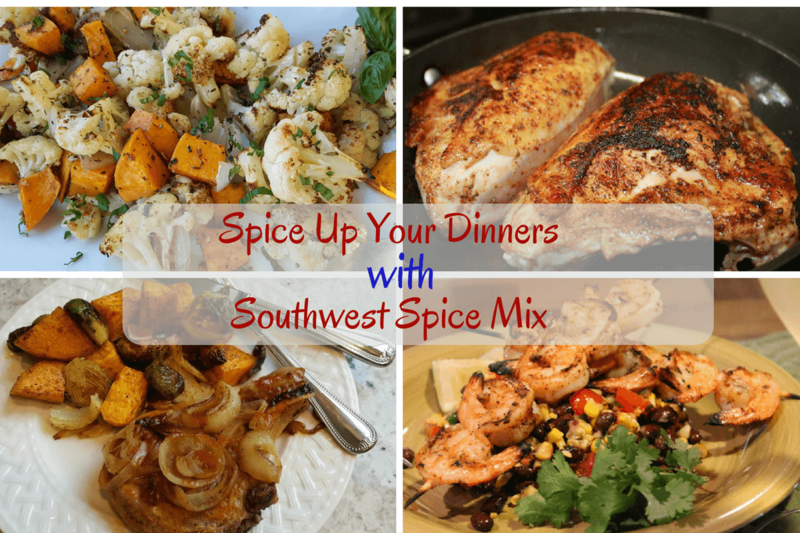 The truth is, this Southwest Seasoning Mix is always on hand in my kitchen. I use it on all kinds of meats and seafood. Vegetables go from bland to heavenly with just a sprinkle or two. You must make this seasoning mix! You'll see that the recipe for the mix is intentionally vague. It's the ratio of the ingredients that is important. You can make a big batch or a small batch. For example, if your "one part" equals 1/4 cup, then your total batch will equal 2-1/4 cups of Southwest Seasoning Mix. If you want a smaller batch, you can use one tablespoon as your "one part". Use a little extra virgin olive oil on your meat, seafood, or vegetables and then sprinkle with as much seasoning mix as you like. For even more flavor, serve with a little sriracha mayonnaise on the side. You can make the sriracha mayo by adding sriracha sauce to a half cup of mayonnaise, to taste. Mix all ingredients together and store in an airtight container. Use it on any meats and seafood that you want to have a zippy taste. Here's a video of me making this Southwest Seasoning Mix. Please share this recipe on Facebook, Twitter, Pinterest, and Yummly. Thank you!